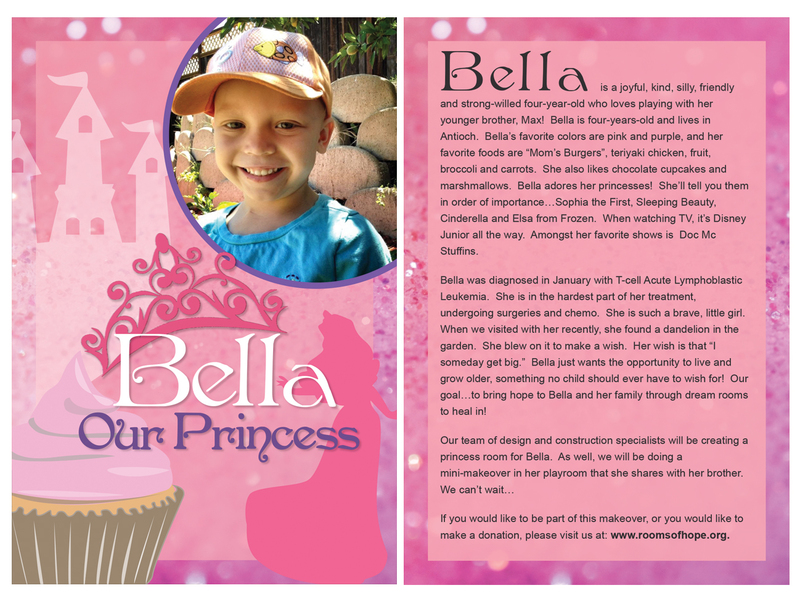 A Special Call-Out To All Of You Who Made Bella’s Makeover Possible! Without the referral from Felicie at Children’s Hospital & Research Center Oakland, the design inspiration and love poured into the rooms from Tara, Niki and Shelley, the ongoing support of our Board of Directors – Brook, Luci, Nancy, Nathan, Shelley & Stan, the room donors and product sponsors who donate with big hearts, and finally the room volunteers who work so hard with all they have to give…none of this is possible! In closing, thank you all so much for sharing your talents, treasure and love! Your contribution makes a difference! Bella and her family thank you very much!! !